This stunning LED Waterproof Solar Garden Step Lights will stay up all night after charging its battery in the daylight. These Solar Step Lights come with all the accessories to install it on the wall, steps or even in the garden. 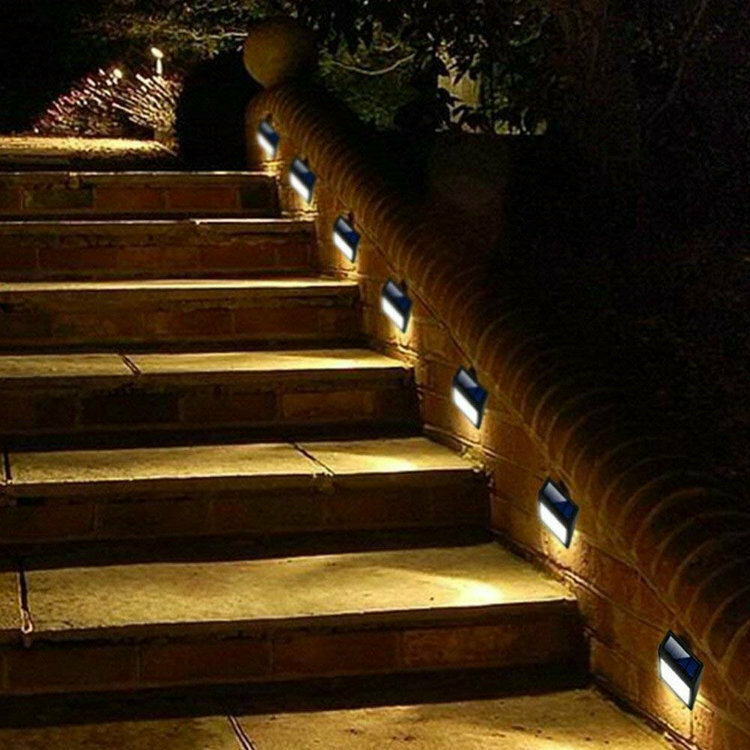 You can install these Solar Step LED lights in a staircase, paths, mailboxes, decks, docks and even at fencing. These solar LED lights will shine everywhere. The battery can provide power to the LEDs up to 9 hours so your solar lights will never go out of power in the night. The LED Solar Waterproof Garden Step Lights are truly amazing LED lights for garden and outdoor decor. The triple led in single Lamp Light will shine like a really bright star in the night. These Solar garden lights are Eco-friendly and don’t need any external electric or power supply. The Step lights will use free solar energy and convert it into an electric one with a high-quality solar panel and use it to shine your lovely garden. These solar garden led lights are made from durable ABS plastic with waterproof and natural effects. These solar led lights will look nice if used in steps. The steps will provide a real ambiance when they are shining in the night. The auto on/off function will save power and power will be saved in the rechargeable battery. These solar LEDs are made more durable and extremely easy to install. With included screw set, you can easily mount on steps, paths or garden as per your requirement. These Solar Step Lights look more amazing than those conventional LED lights and they are more efficient as well. The conventional LEDs can’t sustain long in the rainy season, but these Solar LED lights are made sufficiently waterproof and don’t have any effect of wind or rain.